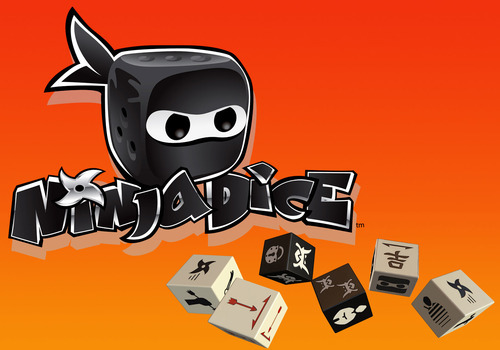 Hey, thanks for joining us today, as we talk with Rocco Privetera, designer of Ninja Dice, and Jeff Gracia, of Ninja Dice publisher Greenbrier Games. Guys, thanks for joining us today! Rocco: You are most welcome! Gonna have to squeeze this in between various day jobs, the Kickstarter, and my nightly nervous-Kickstarter-fretting schedules! Well here we are again, wrapping up another busy week at TOG. You’ll be seeing our 2nd podcast episode pop up in iTunes really soon, (seriously it’s uploaded, just waiting on the Apple folks to do their thing) and we thought, “Hey! Let’s do that Kickstarter Weekly thing that we do. So here it is. This looks like a fun little dice-driven fast-paced game. 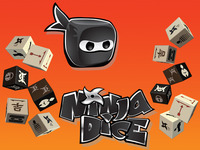 Players are rolling dice, trying to grab loot, and beating up the other players in dicey-ninja action! The components in the video look slick, too! A pledge of $25 gets you the game, The campaign ends Oct. 29 and you can check it out: right here!